24-lb. 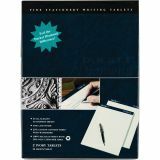 premium stationery, fine laid finish. Rigid back for writing support. 25% cotton content with watermark. 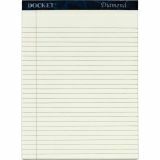 TOPS Docket Diamond Letter-Size Legal Pads - Premium 24 lb. 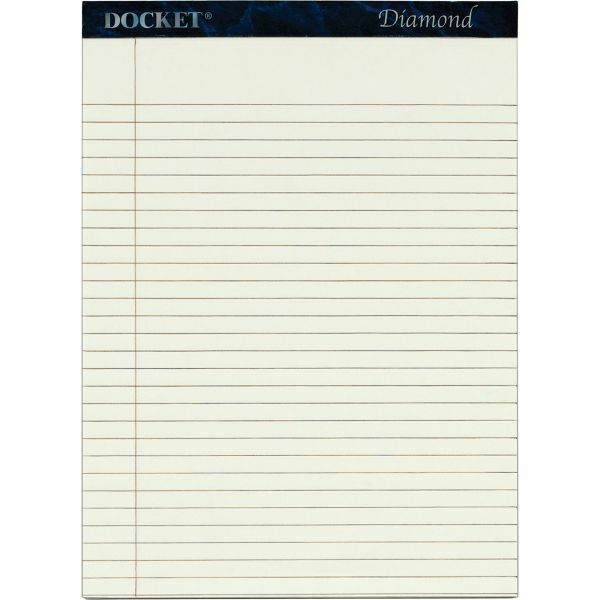 paper is 25 percent cotton bond with a laid finish and watermark for a superior look and feel. Elegant sapphire blue marble binding strip. Rigid, 60 point backboard provides support when writing away from a desk. Letr-Trim perforations assure a smooth edge and clean sheet removal every time. Contains 100 percent recycled material with 30 percent post-consumer material. 50 sheets per pad.